Whether you are taking it on the go or using it in your creative space, Ranger’s newest Designer Accessory Bag is the perfect solution for storing all of your supplies. 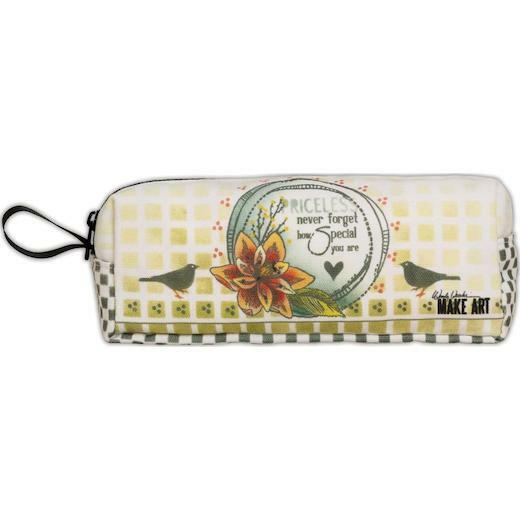 The Wendy Vecchi Accessory Bag features the exclusive artwork from Ranger’s Signature Designer, Wendy Vecchi. Measuring 200mm (8”) L x 90mm (3½”) W x 65mm (2¾”) H, the custom designed canvas bag features a zipper and is ideal for storing inks, paints, brushes, and more.